The Red Storm Rumble is February 16 th for ages 10-14s and February 17th for ages 15-18s. 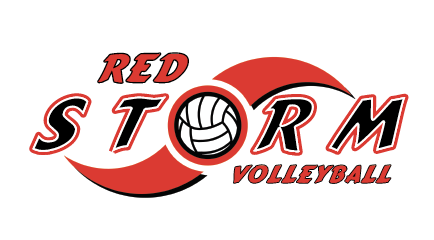 Matches will be held at Team Sportsplex, East Ascension High School, and Woodlawn High School. THANK YOU TO ALL THE TEAMS WHO SUPPORTED OUR TOURNAMENT THIS YEAR! WE HOPE YOU ENJOYED THE COMPETITION AND THE HOSPITALITY!!! No chairs, ice chest, team tables, or outside food will be allowed in the playing facility. Full concessions will be provided at both facilities. Official tournament apparel will be available at site. Please park in a marked parking spot. Coaches are responsible for confirming any tournament seeding/officiating responsibilities with their site director before taking the team out of the gym for the day. It is important to confirm what you believe to be correct. There is a $5 daily admission charge. Children 6 and under will be free.